The Apprenda Platform has a long history of providing developers with choice when deploying their applications in a variety of stacks, architectures and technologies. 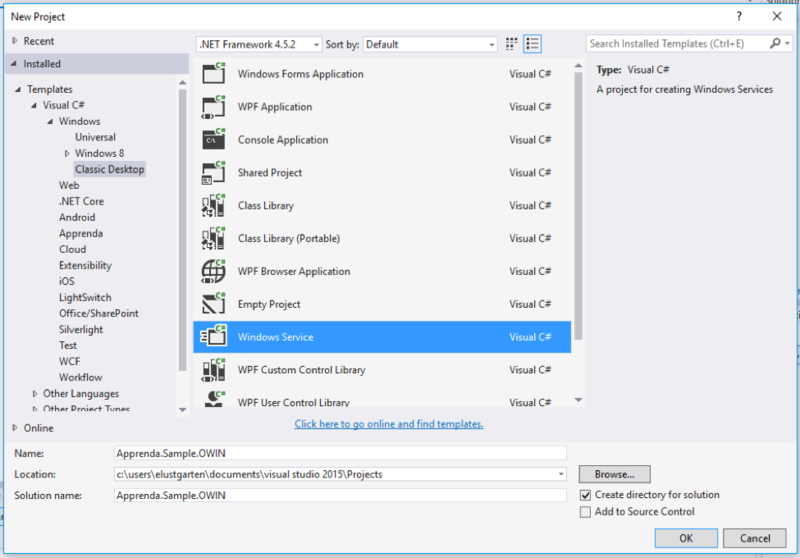 For this blog post, I want to show how easy it is deploy an OWIN hosted Web API application using Windows Services. The completed source for this demo is also available on GitHub. 2. Let’s rename our service to myApi by right clicking on Service1.cs and renaming it. 4. 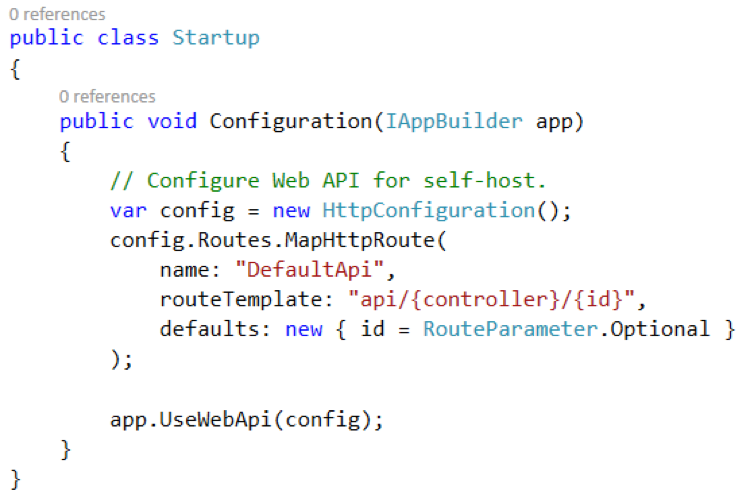 Let’s create our WebAPI controller. Add a new class to your project and name it cs. 6. Apprenda allows developers to map ports in two different ways for Windows Services, static or dynamic. In this case, since we will be deploying multiple instances of the service, we will use dynamic port mappings and token replacements as a way to configure each instance with the correct information. A. Local/Live switching –> This allows Apprenda to comment configuration in/out depending on whether an application is deployed or not and based on the stage (Sandbox vs Published). B. Token replacement –> The Apprenda Platform has a variety of tokens that can be switched at deploy time based on environment information. In this case, we are using tokens to dynamically retrieve the port assigned to each service instance. 8. 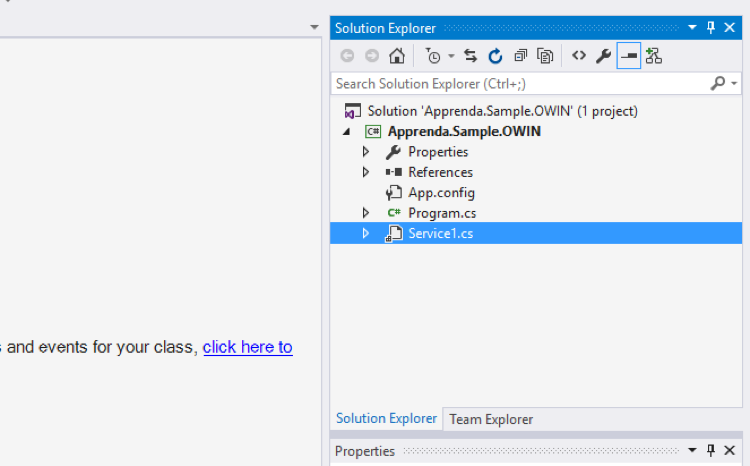 Open the code view for the service by double clicking the service in the project explorer and then switching to code view. 9. 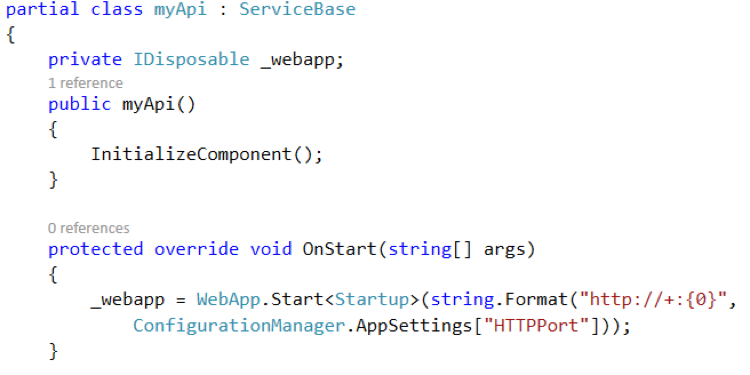 Declare an IDisposable private object called _webapp. 14. That’s it! Log in to your Apprenda Platform instance, upload the archive and deploy!